The Amateur Radio volunteers who deployed as American Red Cross volunteers to Puerto Rico as part of the “Force of 50” this past weekend have been focusing their efforts where their help is most needed. 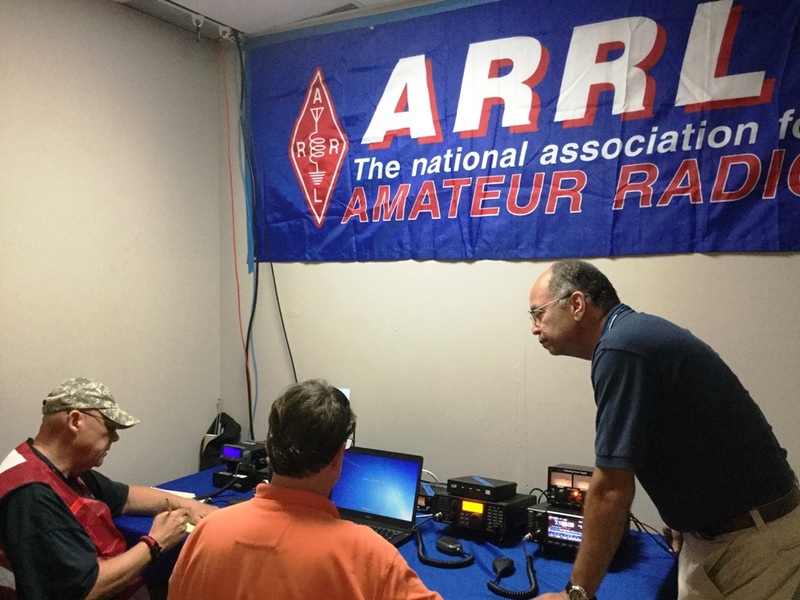 ARRL CEO Tom Gallagher, NY2RF, said the volunteers, in general, will provide communications for local law enforcement and utility managers, island-to-mainland health-and-welfare traffic, and contact with the island’s more remote areas. ARRL Emergency Preparedness Manager Mike Corey, KI1U, said arriving volunteers initially gathered at the Convention Center in San Juan, which is now serving as Puerto Rico Emergency Management Agency (PREMA) Headquarters. Their first night, a local church offered accommodations, he said, and volunteers slept on pews that had been pushed together. 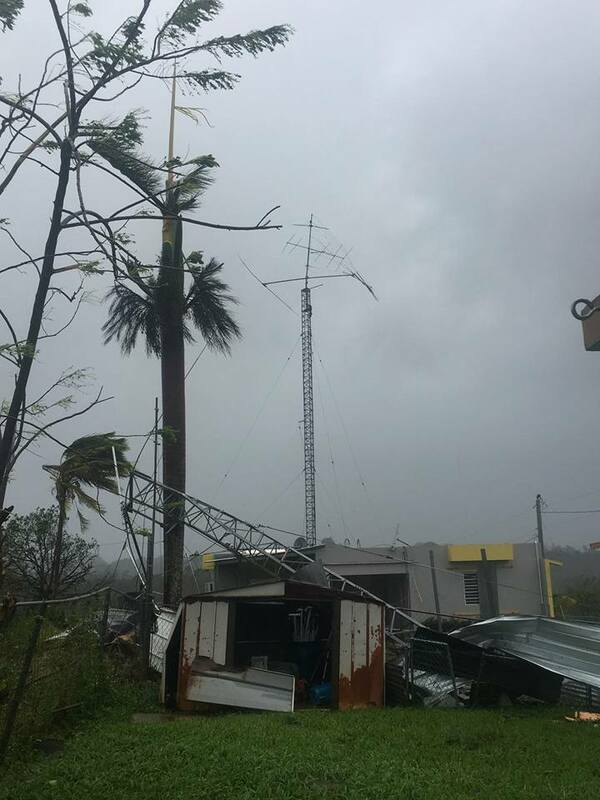 Since the storm struck Puerto Rico on September 20, ARRL Section Manager Oscar Resto, KP4RF, and other volunteers have staffed VHF and HF nets at the American Red Cross temporary headquarters in San Juan, despite damage to their own homes. The 24/7 net covers nearly two-thirds of the island and has been handling traffic to and from the power company, Autoridad de Energía Eléctrica (Electric Power Authority — AEE), and state and local authorities. The electric distribution infrastructure suffered extreme storm damage, and only about 9% of customers have power. Twelve team members were assigned to provide communication for engineers involved in repairing power distribution centers. 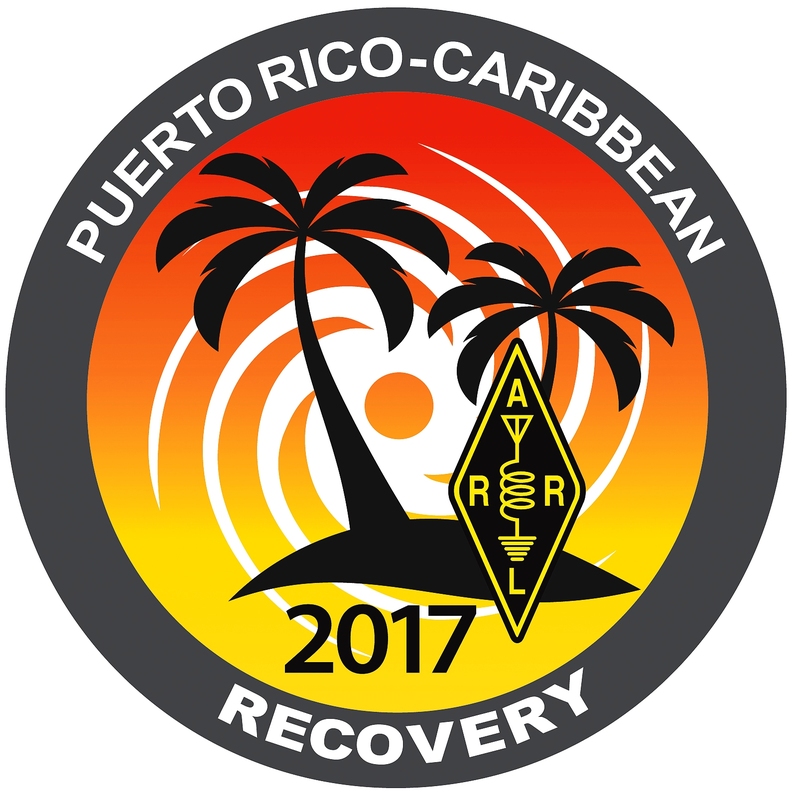 An Amateur Radio station has been installed and an operator embedded at the Puerto Rico Emergency Operations Center (PREOC). Radio amateurs also were asked to establish VHF communication capabilities at 51 hospitals throughout the island, so they can have direct contact with the EOC. 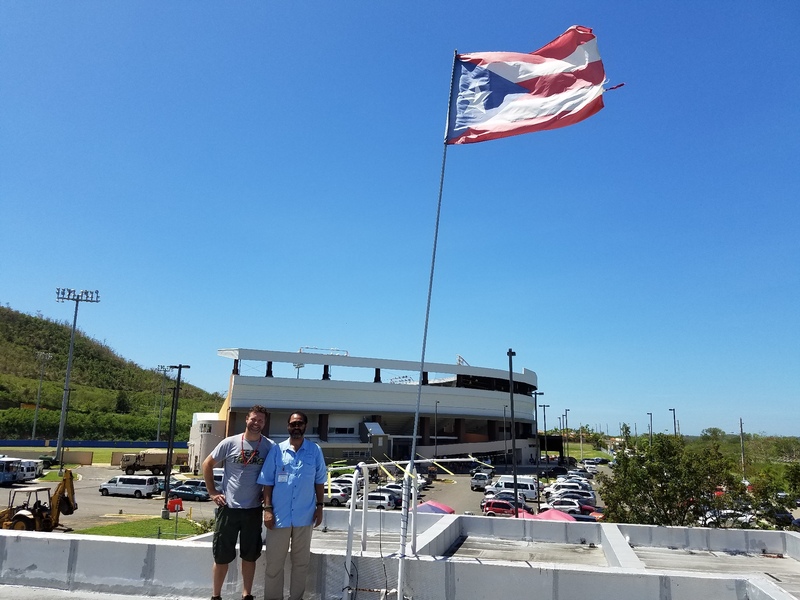 ARRL Puerto Rico Section Manager Oscar Resto, KP4RF (right), works with two new “Force of 50” volunteers at Red Cross Headquarters in San Juan. “My station will be QRT for a long time,” said Alfredo (Al) Velez Ramos, WP3C/NP4DX. Puerto Rico volunteers and local hams alike have successfully passed “lots of traffic” to net control, which has been forwarded on to the appropriate agencies. Some examples included getting an oxygen tank to a nursing home resident and insulin to a diabetic youth. A local radio amateur was recruited to handle hospital communications at Centro Medico. “This is the main hospital on the island and needs communication to handle transfers from the other hospitals and medical centers,” she said. The Puerto Rico team has begun checking with hospitals to see which ones have telephone service, before dispatching additinal operators. The Amateur Radio liaison at the EOC is working with federal officials to co-locate Amateur Radio repeaters on tower sites now being restored to improve communication island-wide. The volunteer team was approached by the Southern Baptist disaster team to discuss the possibility of utilizing a few of their team members who hams to help with communication tasks. Volunteers Jeremy Dougherty, NS0S, and Bobby Price, KB4ROR, are in Yauco. “We installed our rigs in the fire truck and gave them our handhelds. It left us no other radio for local contact,” the pair reported on October 3. They reached out to Marcos Pereda, KP3CA, in Yauco, who loaned the team his FTM-100DR. They didn’t have an antenna that would offer sufficient range, so they improvised, fashioning a “tape measure” five-element Yagi, using supplies from a local hardware store and a coax jumper from their extra HF radio. “We installed everything and made contact with N5TGL and N0CSM, who are 50 miles away, [using] the repeater between us,” they said. Volunteers Jeremy Dougherty, NS0S (left), and Bobby Price, KB4ROR, and their tape-measure Yagi. There have been problems filling resource requests from remote areas of the island. A message was relayed on WinLink by Juan Sepulveda, KP3CR, from volunteer team members in Mayagüez on behalf of Lares Mayor Roberto Pagán, who had put out an urgent call for water for the town of some 5,000. According to one FEMA official, the White House situation room is extremely pleased and enthusiastic about the service Amateur Radio volunteers are providing in Puerto Rico. 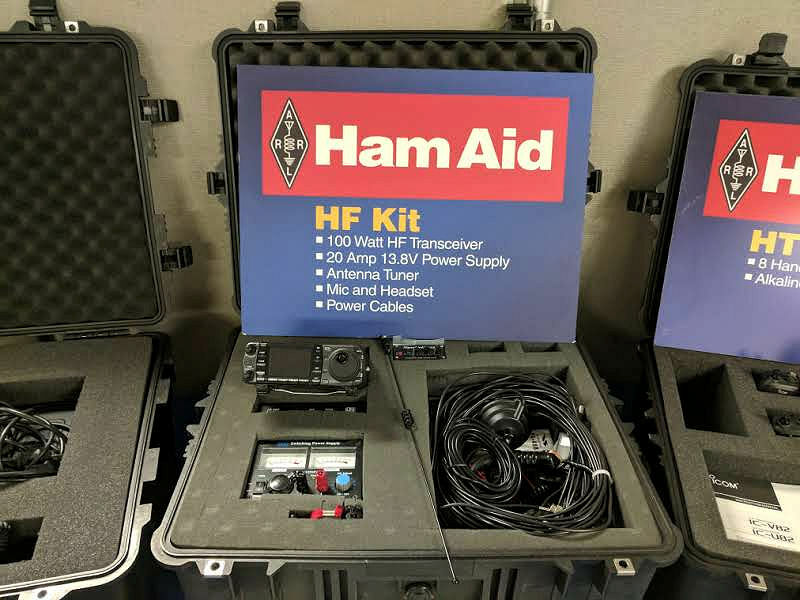 An HF station with Winlink capability and a VHF/UHF station have been set up in the FEMA disaster field office, and volunteers have been reporting in by radio from around the island to post situation reports. Four volunteers were positioned to accompany and provide VHF communication at Red Cross distribution centers on a daily basis. Two volunteers also were sent to Culebra Island to establish VHF and HF communication there, the first since the storm. This and other stories can be found in this week’s ARRL Letter below! Here is a “lightly curated” grab-bag of stories from the Internet about Ham Radio helping out in Puerto Rico. Links only – click on the links to go to the story. The Doctor’s tips for success when working with molten metal, otherwise known as the art of soldering. It also helps to know the art of unsoldering, when things do not go as planned. and JT9, JT65 and FT8. QSL direct to home call. meters using SSB. QSL direct to home call. SSB and RTTY. QSL via JH1AJT. conjunction with the fifth centennial of the Discovery of America. FT8. QSL via operator’s instructions. TEMOTU PROVINCE, H40. Stan, LZ1GC is QRV as H40GC until October 20.
digital modes. QSL via DH7WW. using CW, SSB, RTTY, JT65, JT9 and FT8. QSL to home calls. SSB contest. QSL via M0OXO. operation, the group will be QRV as VK9CI from October 10 to 17. Oceania DX CW contest. QSL via M0OXO. Sunday Sprint are scheduled for October 9. October 6, 2017 in Weekly Newsletters.